Book Description: Many people are curious about old jewelry. Usually they have some tucked away somewhere or have inherited jewelry passed down from previous generations. This book helps readers accurately circa date their pieces, authenticate and identify metals, and determine the value of treasured items made from 1840 to 1950. With 2000 updated prices, this revised edition is a key reference for dealers, collectors, and appraisers. Sections include jewelry styles from 1840 to 1950, an overview of 100 years of cameos, and the answers to questions about jewelry manufacturing and construction techniques. Make smart sense of today's dynamic world of collectible jewelry when you rely on the answers to key questions about vintage jewelry covered in this new full-color edition of the jewelry collector's classic must-have. Identify, date and assess everything from brooches and pins to pendants, rings and lockets, through the authoritative details (including maker's marks) outlined in this book. Plus, you'll discover a new section devoted to Modernist jewelry, and an expanded section about Mexican jewelry. Miller�s Collector�s Guides is a series of books aimed at providing an essential introduction to varied and popular subjects for the budding collector. Reflecting the growing trend in the antiques market towards "collectibles" (small, often affordable items) these practical guides are filled with ideas on how to form a collection, what to specialize in, and how to identify objects. Often showing specially photographed items, these are guides no collector can afford to be without. 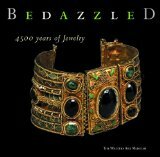 Book Description: This gem of a book sparkles with the diamonds, emeralds, rubies, and exceptional examples of goldsmith's art in the spectacular collection of England's grand Victoria and Albert Museum. by Rene Lalique, Yvonne Brunhammer (Editor) et al. Queens' Jewels is the result of a ten-year quest into the highly secretive realm of the collections of royal families throughout the world. The author has discovered the most precious jewels in existence - symbols of power and love - traces of a lost world. This lavish book relates the grandiose history of royal adornments, from the lost jewels of the last queen of Italy and the bloody odyssey of the Romanov crown to the story of the sapphire of the Countess of Paris and the treasure of the Catholic queens of Spain. Book Description: The tiara has played a glittering role in the lives of the elegant and extravagant--from the doe-eyed Audrey Hepburn in the film classic Roman Holiday to generations of England's royal family--representing the height of sophisticated glamour. Worn for centuries by nobility and high society, tiaras are enjoying renewed popularity among today's movie stars and modern brides. Created in conjunction with an exhibition of tiaras at the Museum of Fine Arts, Boston, this magnificent volume showcases more than 75 of the world's most exquisite tiaras adorned with everything from delicate feathers to ornately decorated, gold fleur-di-lis scrollwork set in diamonds, pearls, and sapphires. An essay by Diana Scarisbrick, curator of the exhibition, traces the tiara's history, and dozens of photographs show tiaras worn by Russian princesses, British royalty, American socialites, and many others. Taking a lighter, popular culture approach to a traditionally high fashion subject, Tiara will delight aficionados as well as those less familiar with the tiara's artistry, who will be astonished by the array of styles, shapes, and showstoppers from around the world.